I was asking that very question myself to be honest. 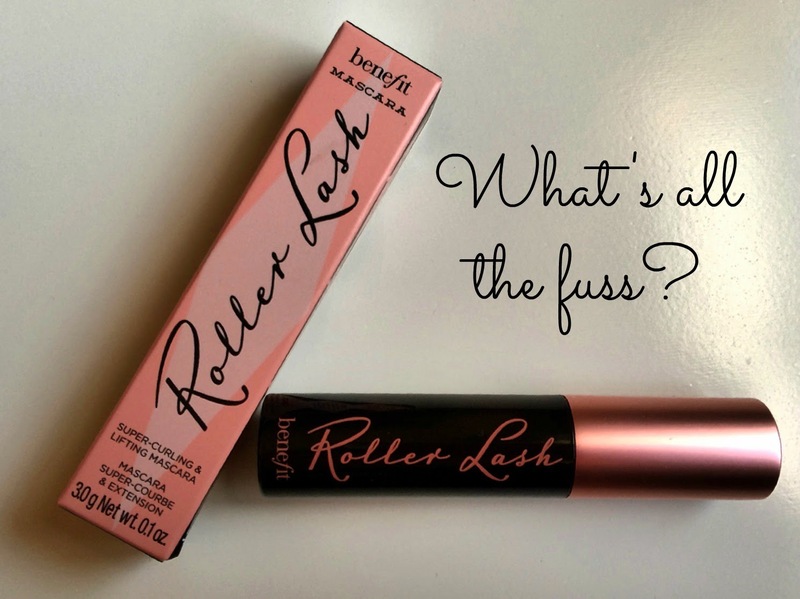 What's so special about Rollerlash and what is all the fuss about? Benefit sure do go 'all out' when their new products are released, with great marketing and PR, making sure us woman hear all about it, leaving us wanting to try the new 'it' product and see what all the hype is about. I wasn't one of the fortunate ones to be sent a sample so as soon as I heard Elle magazine were giving away a free sample I had to get one, so promptly sent hubby out to the shops and told him in no uncertain terms to come home without one! Lucky for him he got a copy, the last one he said, at our local supermarket. Designed and packaged as only Benefit can. You all know I'm a lover of Lancôme Définicils mascara (if you look at this link be kind it's one of my early posts!) and it would take something truly special to end my love affair, but to be totally fair to other brands I knew I had to give this a go and see what everyone was raving about. Could it possibly be as amazing as I'd heard some people say it was? I've tried their BADgal mascara and to be honest wasn't wonderfully impressed. I didn't get to try they're real mascara, so I can't compare the two, although I'm still using they're real push up eyeliner and getting on much better with it now!!! The brush is slightly curved to help lift your lashes and give them curl power! I think this one is all about the curl and giving you that open eyed look rather than particularly lengthening, but I have to say I was impressed with the length it gave on my lashes too. The brush kind of 'hooks' your lashes, you can feel it grabbing them, not in an uncomfortable way or anything, so don't be alarmed when I say that, you just know its picking up your lashes, lifts, separates and curls all at the same time. For some reason I was really excited to try this and used it for three days before writing about it for you guys. I am giving you advanced warning that if you should scroll down you are about to see the eyes of a forty something woman, although I've done them in black and white so as not to alarm you too much! Lessens the look of the wrinkles you see. I have they're real push up eyeliner on both eyes but in this shot Rollerlash just on one eye. Two coats. And in this one two coats on both eyes, and also tiny bit on my bottom lashes, although the shot had to be done via a selfie (no-one else around to assist) and I think I'm looking down more in this one so you can't see the length so well, but you get the gist. I think without eyeliner the lashes would look even more amazing. One thing I also have to mention is that it lasts all day, no flaking, and it removes really easily. 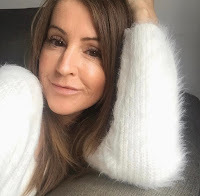 I hadn't noticed it at first, hadn't given it much thought, but last night I realised I wasn't tugging or pulling at my lashes at all when taking my make up off, and usually I have to give them a good going over!! I had to come back and update the post with this snippet of info as taking it off is just as important as putting it on! My verdict: VERY IMPRESSED. And that's saying something from someone who is a die hard fan of Lancôme mascara. Will I buy it? Yes, I think I will. I'll wait until I've used the whole of the sample and then make my decision, but Benefit, you may have just stolen my heart with this one! Rollerlash is available to purchase from 12 February. Have you been fortunate to be able to try the new Rollerlash yet? Ohhh looks like a GREAT mascara...now to see if we carry it here in Canada!